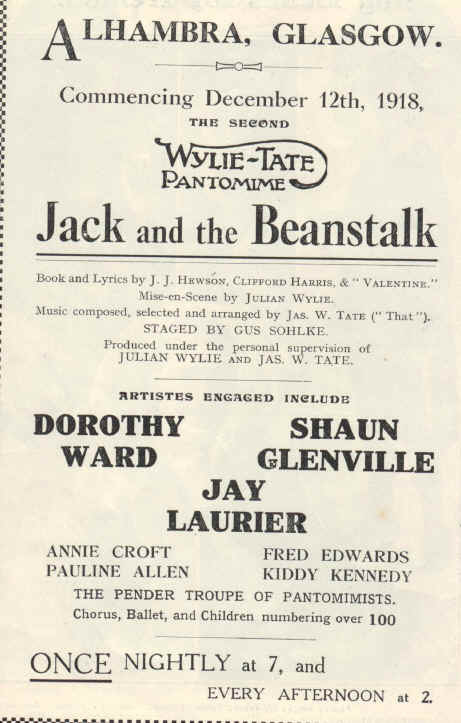 This playbill highlights the husband and wife team of Dorothy Ward, the finest principal boy of her age, and her husband, Shaun Glenville, who played Dame. Dorothy Ward made her stage debut in her native Birmingham in 1905, but did not play Principal Boy until she was 34. She continued the role until 1957, when she retired at the age of sixty-two at the Pavilion, Liverpool.